Juan Mata is a player that has captivated the hearts of the Old Trafford faithful ever since his arrival in 2014, and he continues to play valuable football at Manchester United. However, the recent arrivals at the Mancunian club, coupled with his mixed form could mean that the Spaniard might seek an exit in the summer. If that occurs, United already have a contingency plan in mind, and it involves a player from the same club that they bought Mata from for a then club-record fee. As per The Sun, it will be Willian that United will purchase should Mata leave the club. The source added that the Brazilian will be sold by Chelsea only and only if the fees paid to them are identical to the £30 million paid to Shakhtar Donetsk in 2013. The fee certainly seems understandable, considering the fact that Willian has gone on to net 44 goals in 228 appearances apart from being a vital cog in Chelsea’s attack. Moreover, he is also tied by contract at the club until 2020. Similar is the case of the man he is slated to replace, with Mata having scored 39 goals in 182 appearances. In addition to that, he has been a consistent creator for the Red Devils, and his style of play is one that has fit the United ethos quite well. However, the selection dilemma at Old Trafford, coupled with the fact that youngsters like Jesse Lingard are looking increasingly likely to carry the club forward, Mata’s days seem all but over. Despite the club activating an extension clause in his contract and pinning him down until 2019, it is likely that the move was a bid to secure the investment more than anything else. 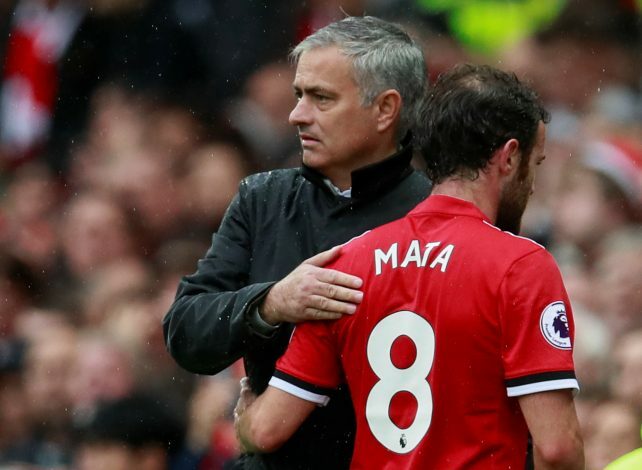 At 29, Mata can still pack a tremendous punch, and is bound to make an impact at any destination he chooses to go. As for Willian, Mourinho is a clear fan, having reportedly made a bid for him last summer, and the club could benefit quite a bit from the signing. But the question of whom to give the start week in and week out will remain if he does eventually arrive.